Joe's Jeans "Icon" jeans with contrast tuxedo stripes. 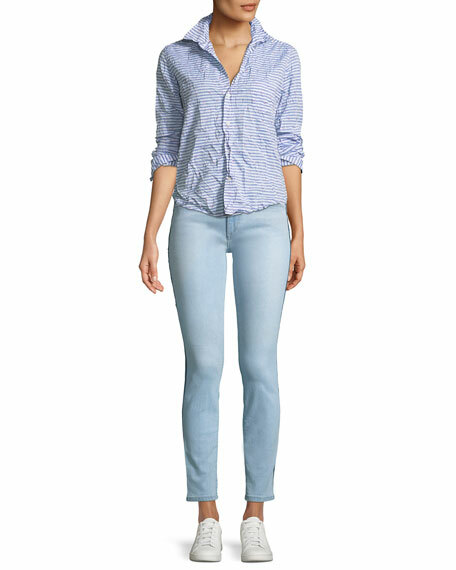 EXCLUSIVELY AT NEIMAN MARCUS 7 For All Mankind jeans in lightweight stretch twill. Approx. 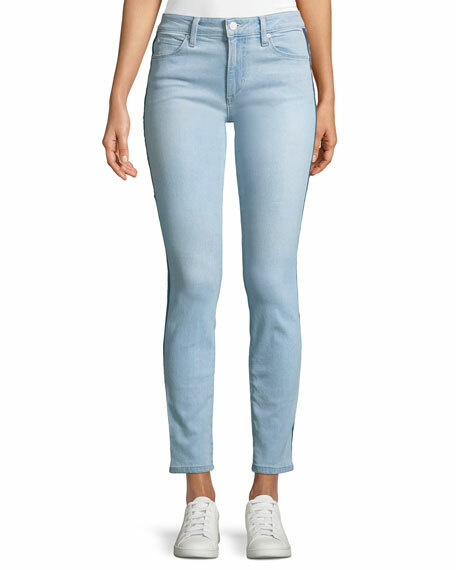 measurements: 8.5" rise; 26" inseam; 36"
7 For All Mankind jeans with grommet trim and metal rings at hem. Mid rise; belt loops. Five-pocket style. Fitted through skinny legs. Button/zip fly. Raw-edge hem. Cotton/spandex. Made in USA of imported material. Model's measurements: Height 5'10"/177cm, bust 33"/84cm, waist 25.6"/65.2cm, hips 35.8"/91cm, dress size US 2-4/FR 34-36. 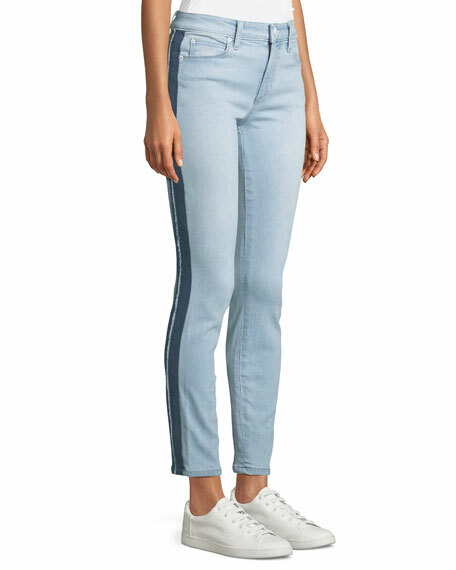 Etoile Isabel Marant "Lea" jeans with contrast patchwork details. Mid-rise; belt loops. Five-pocket style. Fitted through skinny legs. Ankle length. 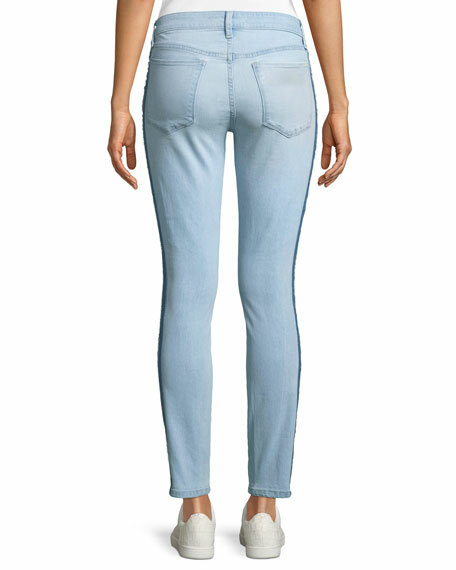 Etoile Isabel Marant "Lea" jeans with contrast patchwork details. Mid-rise; belt loops. Five-pocket style. Fitted through skinny legs. Ankle length. Button/zip fly. Cotton. Made in Morocco. Please Note: Patch pattern may vary.